So, I’m a little nervous about running 20 miles tomorrow morning. The Vermont City Marathon with CabotFit Team is only 23 days away so it adds little pressure! I took it easy in CrossFit this morning in an effort to not have a repeat of last weekend… for extra credit today we could do GHD sit ups, in which I would usually participate but I had to draw the line and set boundaries. Eric took the extra credit so let’s all hope he doesn’t experience what I went through. On a typical long run, we bring our card and stop at gas stations for hydration. But because we are going to be running while we are half asleep (and everyone else) we are planning on setting out frozen Gatorade bottles tonight along our run route. And I’m salting it up today! 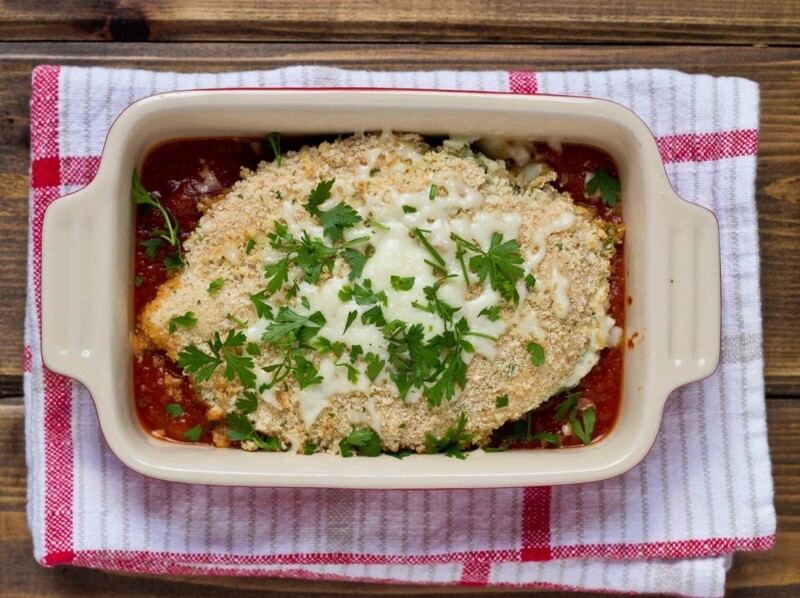 On to the recipe, this Stuffed Chicken Parmesan is perfect for the weeknight! Really, it seems fancy but doesn’t take much prep work or cook time. Sometimes we like to make a big deal about cooking meats during the week, but the hands on time in this recipe is really minimal. 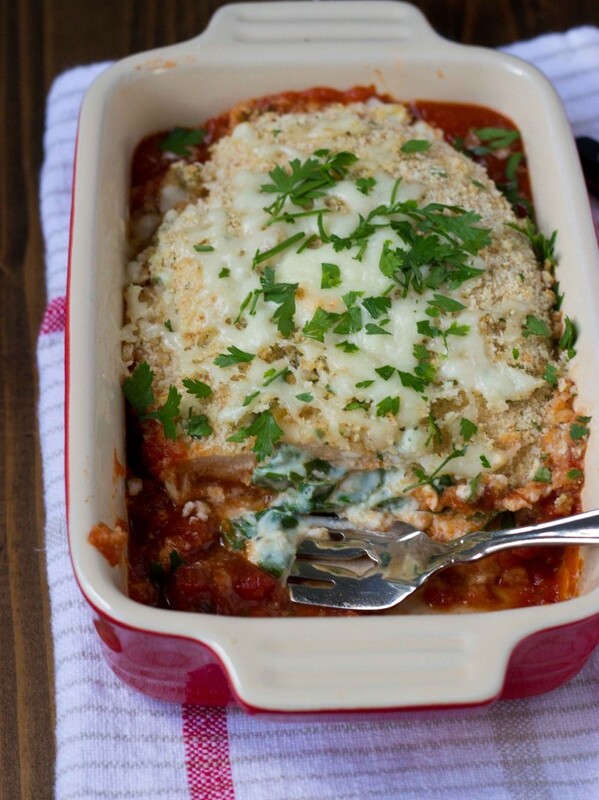 Serve this Stuffed Chicken Parmesan with spaghetti squash or whole grain pasta and a side of roasted broccoli. Cut chicken breast in half lengthwise to reduce thickness. Place chicken in plastic bag or between two pieces of wax paper; flatten chicken with a mallet, wooden spoon, or rolling pin to 1/2 inch thickness. In small bowl, stir together ricotta, spinach, garlic and Italian seasonings. Spread ricotta mixture on one side of chicken breast; fold chicken back together. In another small bowl, mix breadcrumbs together with salt; then thoroughly coat the chicken breast with breadcrumbs. 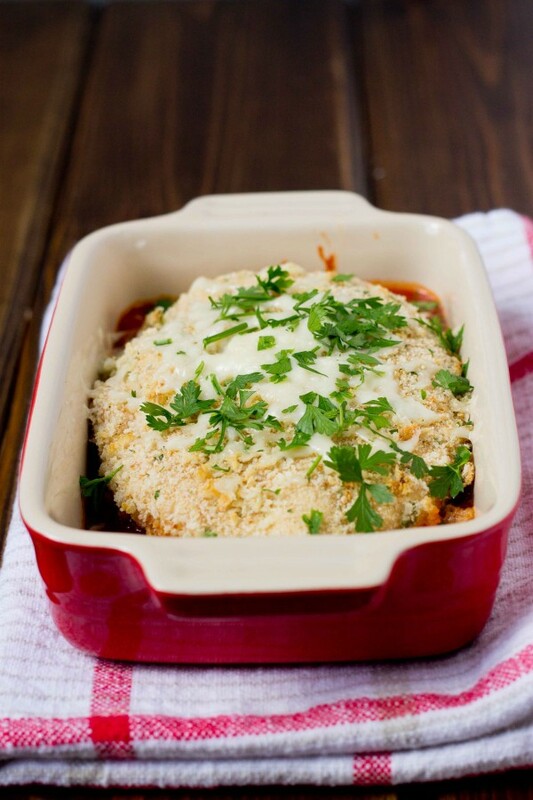 Pour tomato sauce in bottom of small baking dish; and nestle chicken inside. Top chicken with mozzarella and parmesan cheese and place back in oven for 5 minutes to heat sauce and melt cheese. 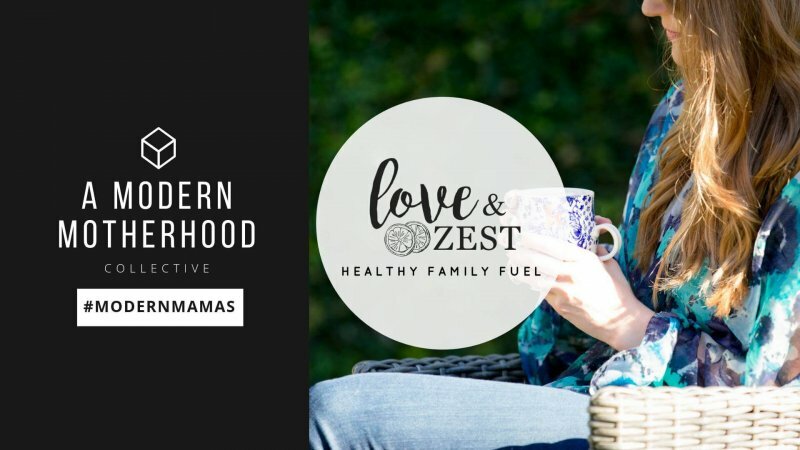 « How to write a food blog with a full-time job? 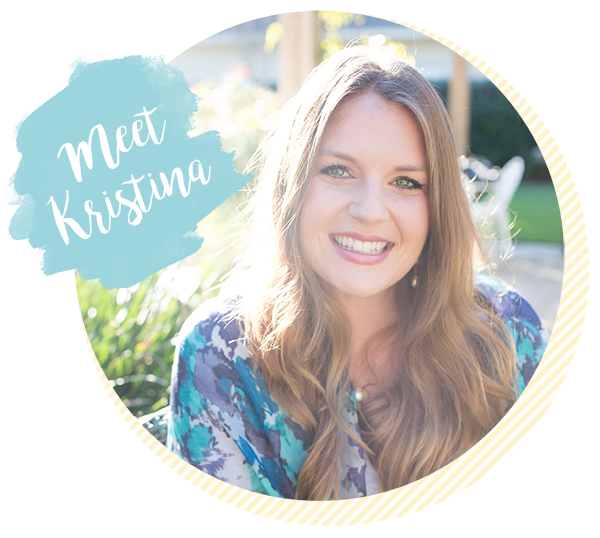 Good luck tomorrow, Kristina! I will be cheering you on in my thoughts! Whenever i see chicken parmesan, I immediately think of my sister. It’s her specialty ;). However, hers isn’t stuffed..I shall have to share this recipe with her! Thanks Min!! Need all the luck I can get.